For richer content on web pages, WordPress can offer the flexibility to build layouts using our standard web page builder components. A set of layouts and flexible content formats, each styled using colors and fonts optimized for your web design, provide a series of options for creating better web content. Out of the box, WordPress pages are built around a single editing area and an HTML text editor. 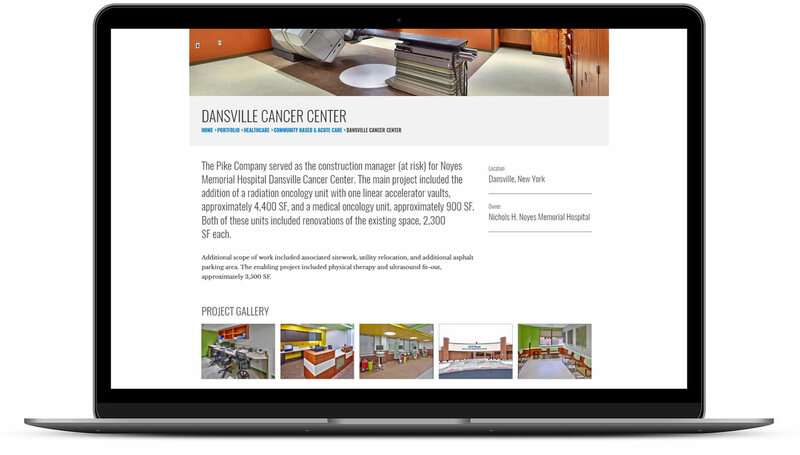 In addition, Stratejus has created a customized set of content layouts based on the needs of the project. 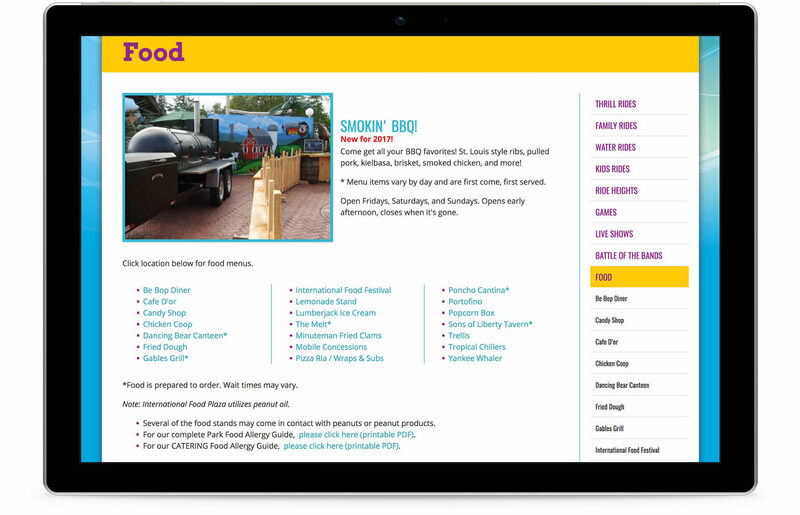 See below for an introduction to our most common page elements, and how they are being used by amusement parks to easily create more informative layouts and a better user experience. 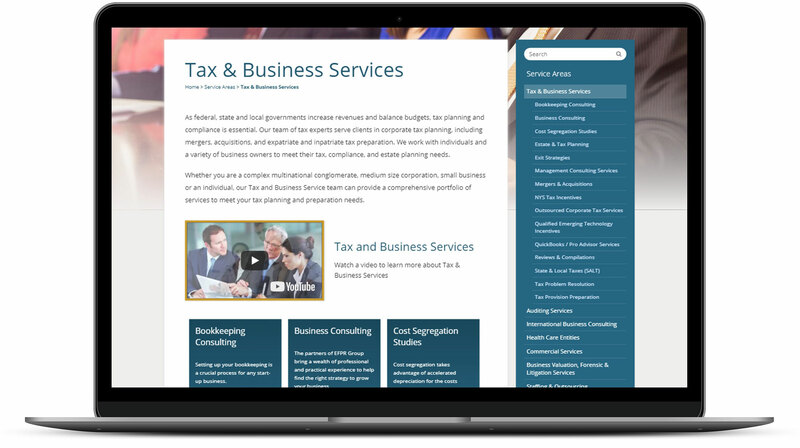 Showcase your services and more with easily editable and flexible image and video blocks. The video block makes it easy to play a YouTube video on your website simply by pasting in the appropriate URL. Expandable accordions add visual interest to text-heavy pages. 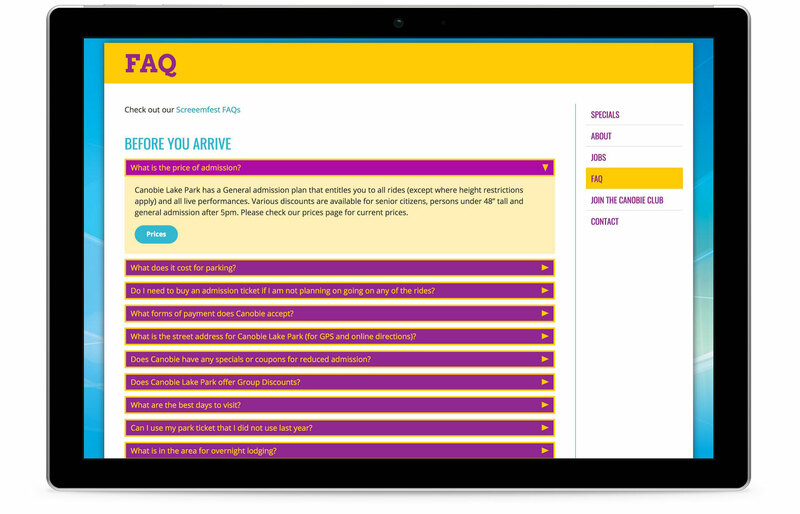 Accordions are a great way to provide visitors with quick answers to frequently asked questions about your services. Choose a series of images you would like to feature in this flexible, responsive grid layout. Logos can be easily linked to site pages or external website locations. Lists are a great way to simplify information for users, but too many list items can create a “scroll-o-rama” effect on the page. Avoid that easily by inserting a multi-column list when you have a large number of items to display. Grid based image galleries can be added to any page and adapt to screen sizes dynamically, optimizing the use of space inside the webpage. The gallery supports images with different sizes and aspect ratios, and each image can be enlarged by clicking to view inside a slideshow format. Because users also have an ability to use multiple formats on a page to enhance the presentation, a page might start with a paragraph of text, and then utilize additional formats that work well with the message. This creates a much higher level of flexibility than standard WordPress, and is easy to implement using the website’s customized user interface tools. Contact us today to learn how using WordPress as a custom web page builder can be an invaluable tool in marketing your business. Check out our portfolio to see more examples of the mobile-friendly sites we’ve built using WordPress.